Today, I am sharing with you a very special post in collaboration with an amazing blogger: Sage Olivia. She does beauty, fashion and lifestyle posts and she also has a youtube channel so don’t forget to check her out! 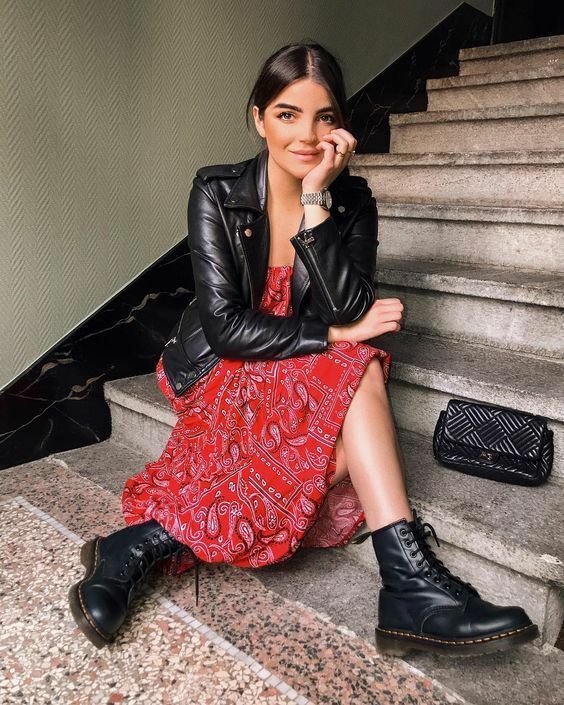 Today, we are both sharing with you ways to style your Dr. Martens boots. 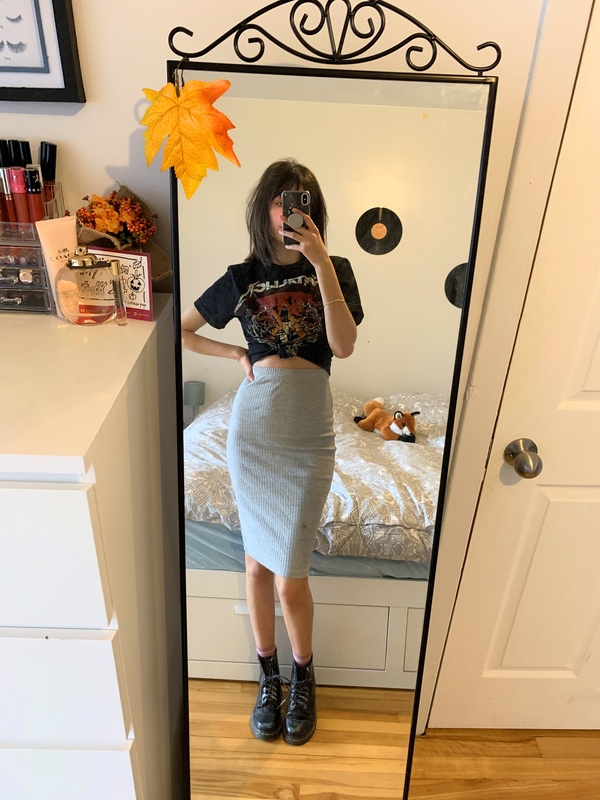 Dr. Martens are statement shoes on their own, I think they can go with anything, honestly and I love the fact that they instantly give this rock n roll vibe! 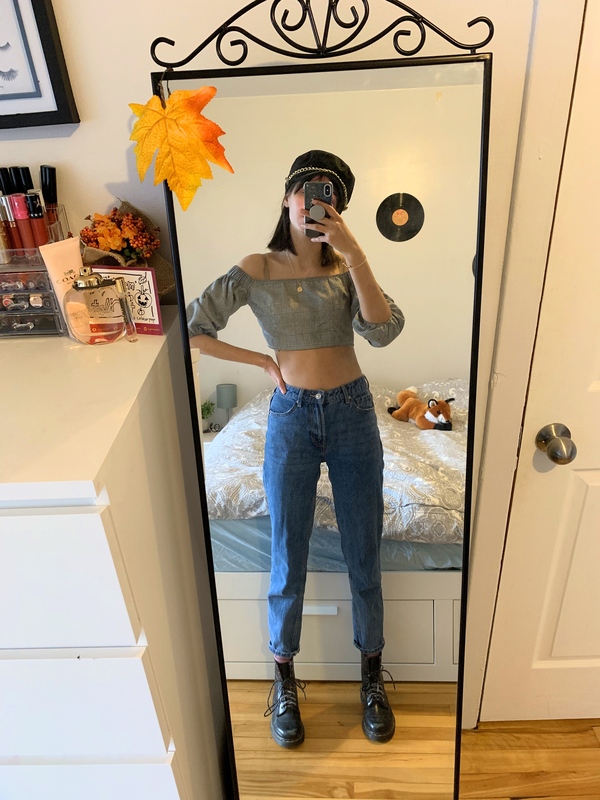 I always love wearing my Dr. Martens with Mom Jeans or any jeans really and I think that’s the most regular way to style them. In this outfit, I chose to wear something very chic and out there, in contrast with my boots. I wore this top cause I like it but if you just switch it with a black sweater, the outfit would still look awesome. 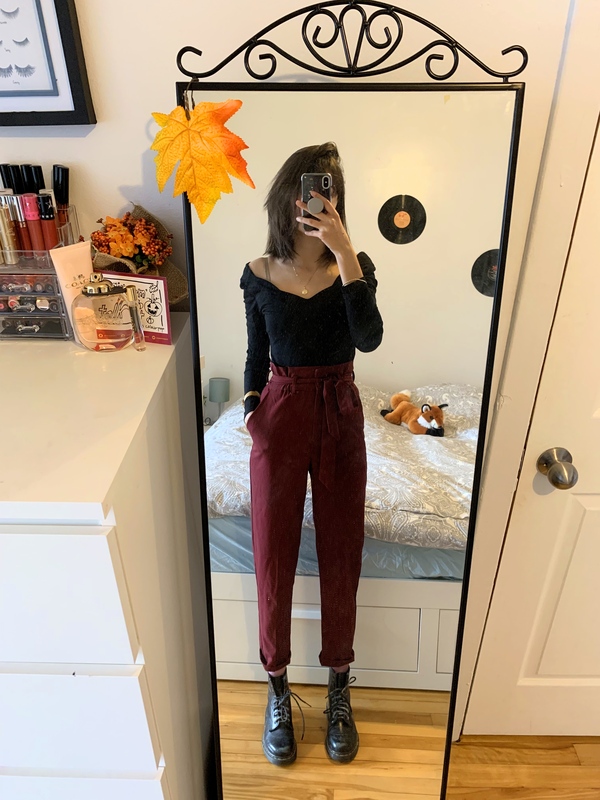 I love styling my Burgundy paper bag pants with my Dr. Martens because it just dresses down the outfit. These pants are super chic and I love the contrast. I think these boots can also go with any patterned/colourful pants. 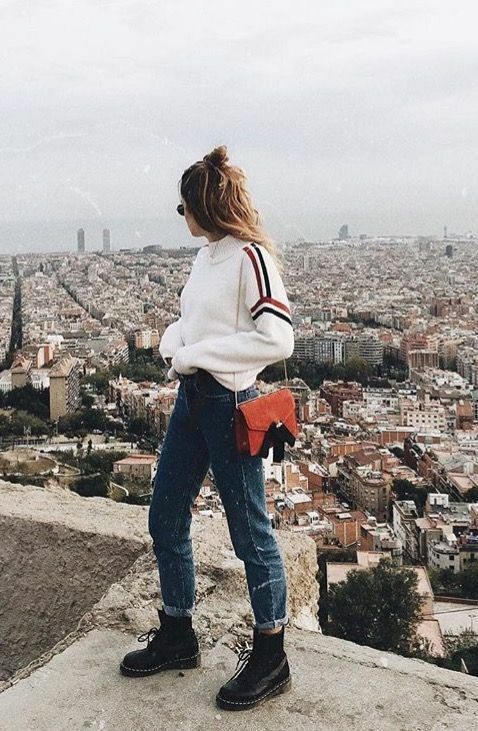 For colder weather, you can add another sweater on top and you’ll be good to go! 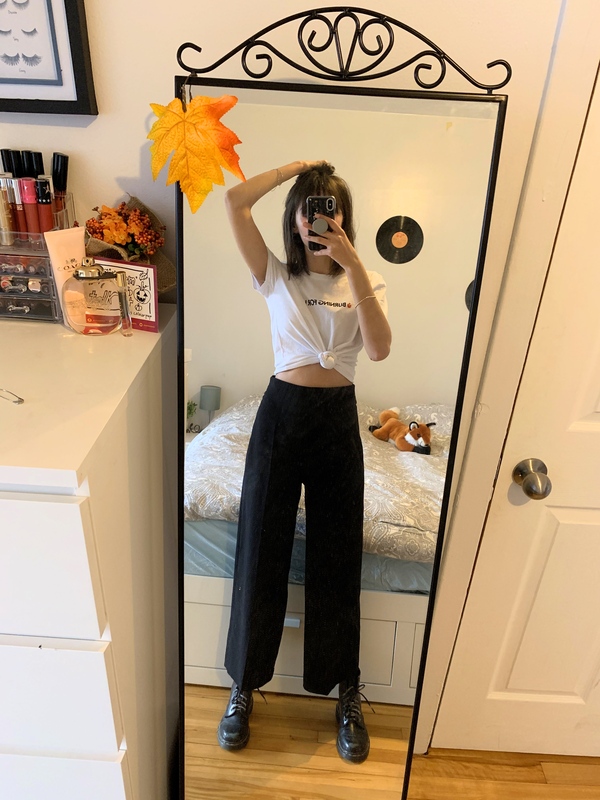 I love how these pants look with my Dr. Martens honestly. It again dresses down the outfit, makes my outfit look more casual and appropriate for daily wear. You could easily replace the graphic t-shirt with a white turtle neck. That’s what I did yesterday actually. 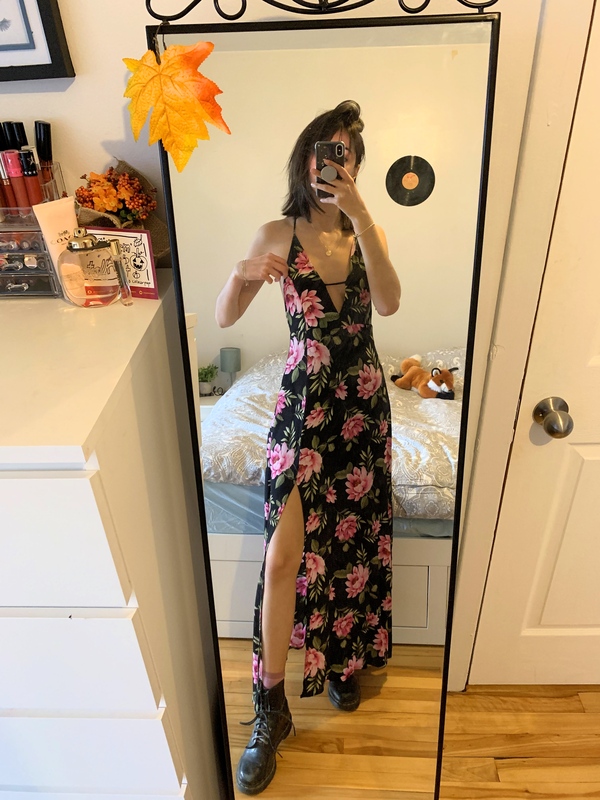 Another way I love wearing my Dr. Martens is with a flowery dress or just a regular very girly dress, it just completely changes the outfit and I love that! In my video I showed how I wore this dress with a white turtleneck under and black tights. 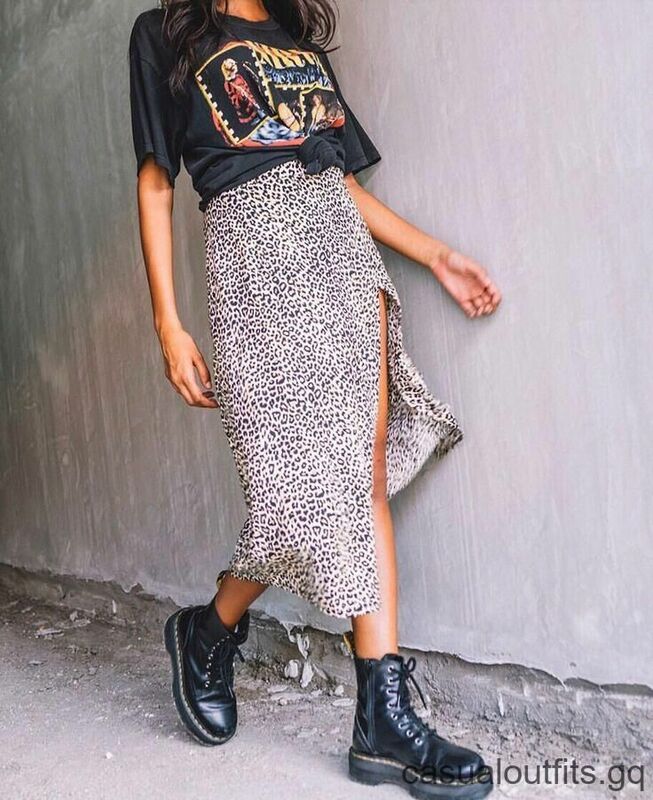 Any skirt would work for this outfit but I love pencil skirts a lot because again, they come off very chic and classy but when you style them with boots and band t-shirts, the outfits turns out super rock n roll and edgy. I wore that small outfit but with a cropped black sweater and black tights to make it appropriate for the cold weather. 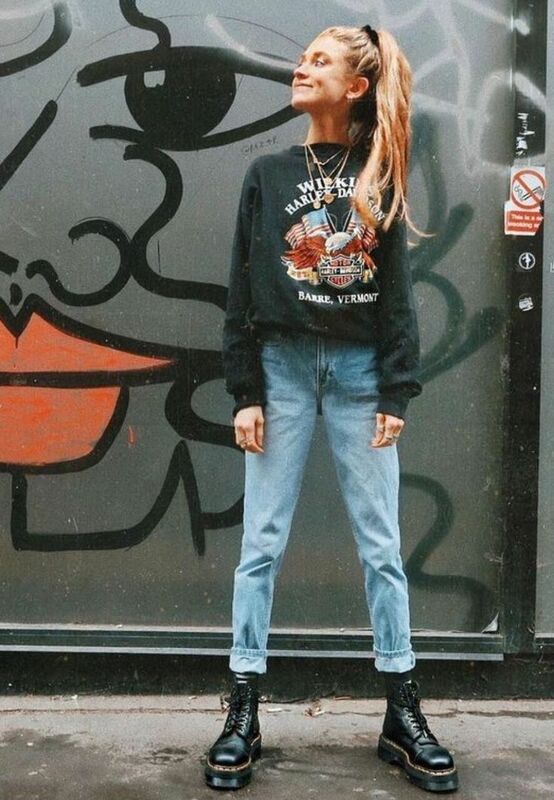 Here are some inspiration outfits I found on Pinterest and that I though I would share with you! I’ve always loved Doc Martens! I haven’t worn them since high school, but my kids wear them now. Nothing like a great pair of Doc Martens! Love all of these styling options. My favourite style is the Doc Martens + Maxi Dress! It never gets old! thank you so much!! I personally think anyone can pull them off really. and I think they are worth the expensive price cause they have lasted me 10 years and they are still good. I wear them in the rain and snow!! Ahh I love shoes that can withstand rain! 😀 impressive that they’ve lasted you 10 years!